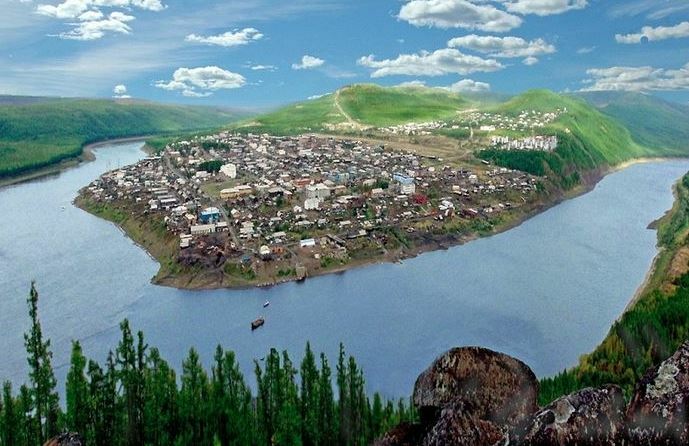 Yessey, the northernmost village of the Evenkia District in Krasnoyarsk Krai, 2,140 miles northwest of Moscow, was traditionally known as the “cradle of Orthodoxy” among the indigenous peoples of the north, after local Yakuts and Evenks adopted Orthodoxy in 1852. One of the first churches in Evenkia was built in Essey, although it ceased functioning with the advent of soviet power. The village has remained churchless for the past several decades, although faith has remained alive in the hearts of many Yakuts. Two priests traveled to the village last February to baptize 120 souls into the Body of Christ. Now there is news that the village will finally be home to a church again. Locals have been raising the issue since 2002, although the implementation failed for various reasons. However, Evenkia head Evgeny Vasiliev has decided to take the project under his wing, and a church is to be built next year, reports the official site of the Evenkia District. It was also stated at a recent meeting that a benefactor has also been found who is ready to take on the costs of preparing the church project and creating the frame for the church out of solid wood. The structure and its components will be made in Krasnoyarsk and transported from there to Essey along winter roads next year. All work on the construction in the village should be carried out in the summer of 2019, and the consecration should be held in 2020, according to Vasiliev. However, he noted that additional funds will be needed for the cross, bells, the iconostasis, Church utensils, and so on. A board of trustees in the name of St. Basil the Great, the patron of the church that previously stood in the village, has been created and is currently working on the issues of allocating land for the church, opening an account for the collection of funds, and so on. Following last year’s mass Baptism, there are now about 200 believers in Yessey in need of a church. The project has been blessed by His Grace Bishop Nikanor of Yenisei and Lesosibirsk.